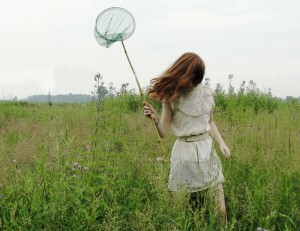 Measuring happiness is at least as difficult as catching rare and elusive butterflies. What kind of net should we use? At the Pursuit of Happiness project, we try to collect and analyze the most scientific studies on happiness and subjective well-being (SWB). The question is, how does one evaluate what the most "scientific" studies are? Naturally, randomized and controlled studies are more reliable. These kinds of studies often require an enormous amount of effort and funding, and many studies that claim to do this are flawed in various ways. One more major challenge to reliability is how these studies measure the happiness or SWB of their subjects. For example, asking people "how happy are you?" might invite a very different answer than the question "how satisfied are you with your life?" Personally speaking if I am asked the second question, I tend to think about my socioeconomic situation as well as my state of mind. Many questionnaires use the second question or a slightly modified version. The following is a list of the most widely used and respected questionnaires. As you can see, we can discover some major differences in how they approach the issue, which reflect different definitions and perceptions of happiness. We should mention a recent measurement of Subjective Well Being created by the OECD, as part of their very sophisticated and broad ranging survey, the Better Life Initiative. This initiative is fascinating and includes some eye-popping graphics. To see their detailed report on SWB and the questions they used to measure it, please refer to the OECD Guidelines on Measuring Subjective Well-being. The strong point of both the Panas Scale and the OECD Subjective Well Being scale is that they measure both positive and negative affect, which, as one might expect, have a clear inverse correlation. Finally, the Skills-based Happiness Quiz (SHQ) offers a new twist. It doesn't exactly measure how happy you are presently, but instead explores what you are actually doing that is strongly related to various correlates of Psychological Wellbeing, or what we unscientifically call the 7 Habits of Happy People. For the sake of full disclosure, it was designed by the team working on this website. It is more of an educational instrument than a psychometric one, offering respondents insight into how they can improve their life skills.